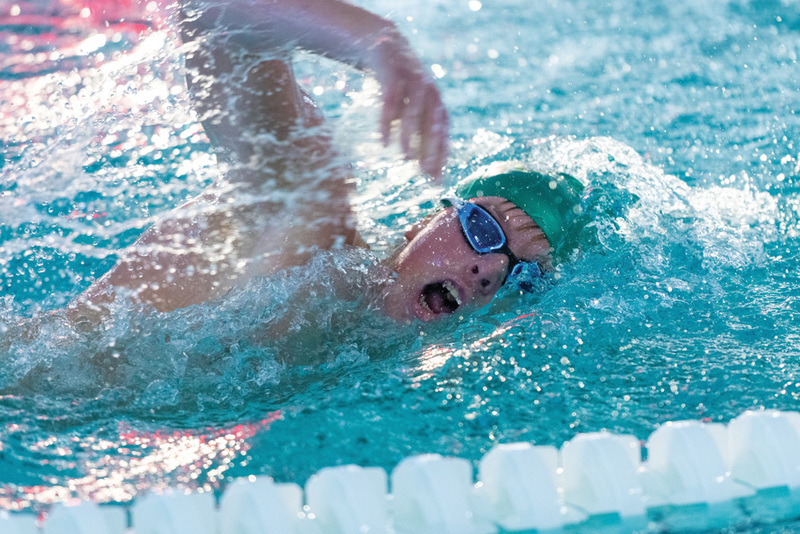 Declan Burke shows good breathing technique during a swim versus Sussex Academy two weeks ago. 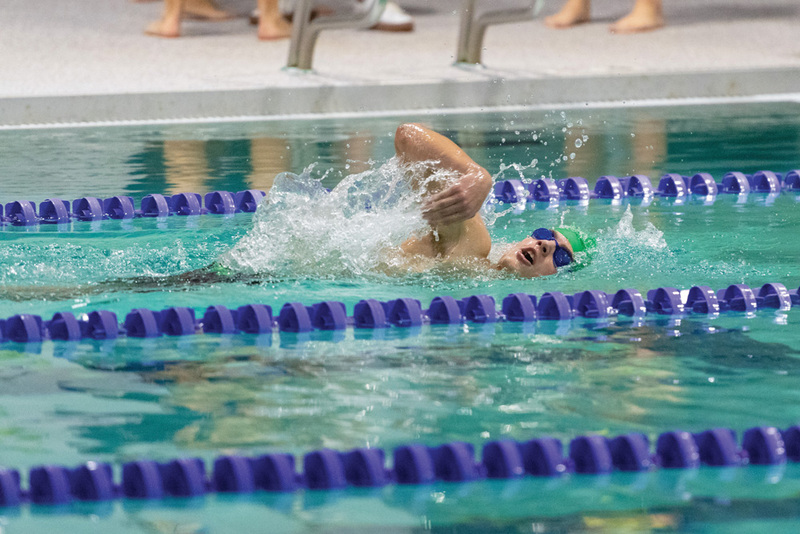 Both the Indian River High School boys’ and girls’ swim teams got themselves back in the win column during a meet against Sussex Central High School on Tuesday, Dec. 18. The boys defeated the Golden Knights, 112-54, while the girls posted a 79-57 score for the win. Three IR boys posted state-qualifying times during the meet. Senior Mitch McGee clocked a winning time of 1:00.21 in the 100 butterfly event to qualify for states. Sophomore Declan Burke’s first place finishing time of 52.76 in the 100 free also qualified. Senior Max Kohr came in third in the 100 free with his time of 55.55, which was also good enough for the state meet. The Indians swept all the boys’ events en route to the win. McGee also was victorious in the 500 free, with a time of 5:59.40. He then teamed up with Kohr, Michael Barnes and Patrick Banks to take first in the 200 medley relay. A fourth win for McGee came in another relay — the 200 free — with Burke, Jackson Donnelly and William Douds. Burke had four first-place finishes on the day in all. 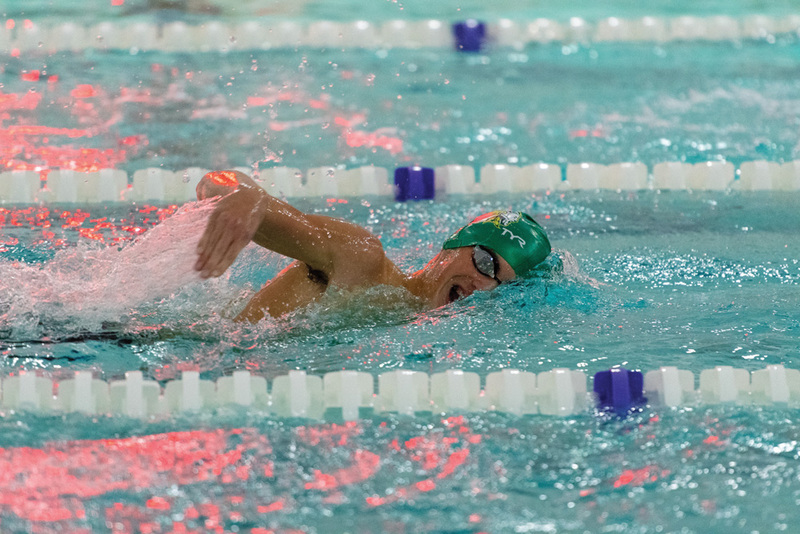 In addition to the 100 free and 200 free relay, he also was tops in the 200 free, and swam a leg in the winning 400 free relay with Kohr, Douds and Liam O’Leary. Barnes added two other wins to his day as well, with firsts in the 50 free and 100 back. Banks swam the fastest time in the 200 IM, while Dylan Tuttle was first in the 100 breaststroke. In action last week, the Indians’ boys team split their dual meets with Polytech (Tuesday, Dec. 11) and Caesar Rodney (Thursday, Dec. 13). IR swept the win over Polytech, defeating the Panthers 128-40 and taking first place in each of the events, before falling to CR, 97-73. 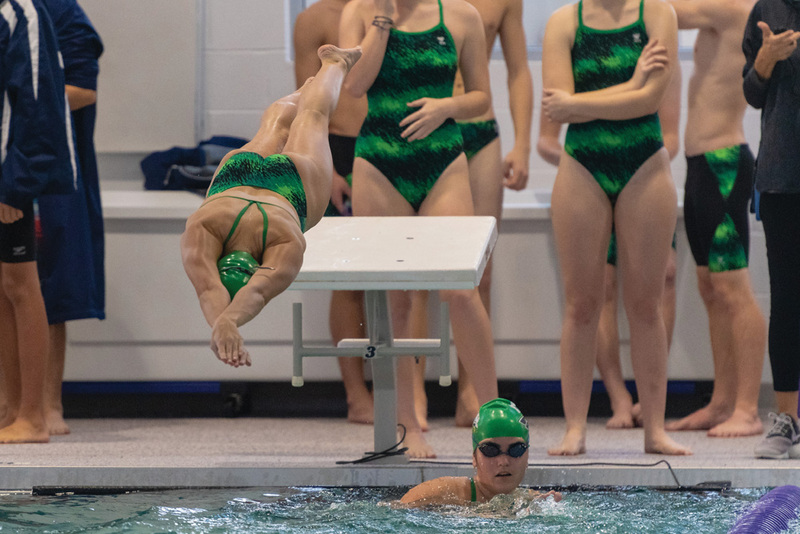 Burke was a four-time winner in that meet, taking first in the 100 back and 200 IM while also swimming a leg in the victorious 200 and 400 free relays. Burke, Ethan Forrey, Zach Lingenfelter and Banks combined for the win in the 200 medley (1:58.81). Burke, Lingenfelter, Douds, and Barnes joined up in the 400 free (3:54.10). Barnes took an individual first in the 200 free (2:01.43), while Banks picked up a pair of wins in the 50 free (24.58) and 100 breast (1:11.63). McGee swam a winning 100 butterfly (1:05.51), while also swimming the first leg of the 200 free relay, where he was joined by Douds, Kohr and Donnelly (1:40.45). Kohr finished with the best time in the 100 free (55.15), while Lingenfelter wrapped up the sweep with a first in the 500 free (6:20.31). In the meet with CR, the Indians’ Banks and Barnes were each double winners, with both picking up an individual and relay win. Banks took first in the 200 IM (2:17.51), while Barnes was tops in the 100 breast (1:09.56). The duo were joined by McGee and Kohr in the 200 free relay victory, with a time of 1:35.54. On the girls’ side of things, IR won four events in the meet with Central. 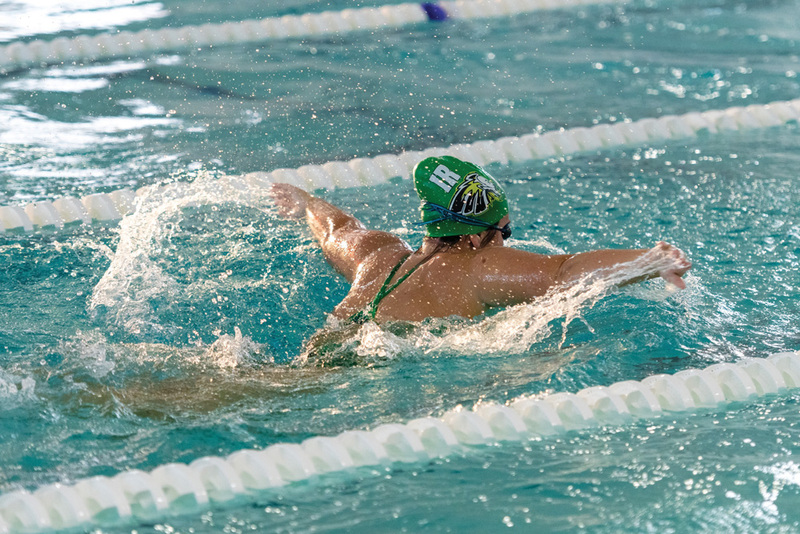 Alexandra Hall was first in the 100 butterfly. Emma Kelly was tops in the 200 free, and Amber Hills finish first in the 100 backstroke. The Indians also won the 400 free relay event. IR’s girls team went 1-1 in their dual meets last with Polytech (Tuesday, Dec. 11) and Caesar Rodney (Thursday, Dec. 13). On Tuesday, IR cruised to a win over Polytech, 102-46, with first-place finishes in each of the events. 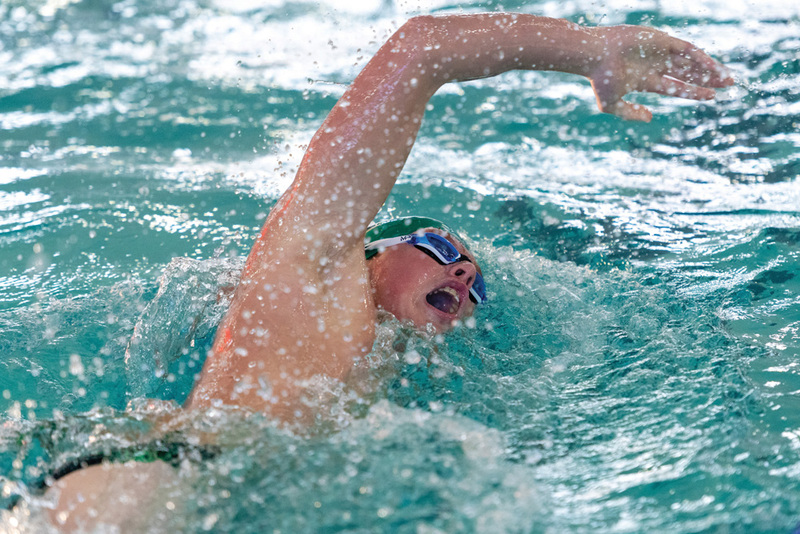 Individually, the Indians received first-place finishes from several swimmers. Kelly was a double-winner, with best times in the 100 free (1:12.63) and 200 free (2:41.69). Classmate Emma Barthelmess was also a two-time winner with her first-place times in the 50 free (28.70) and 100 breast (1:20.59). Fellow sophomore Hall took first place in the 100 butterfly (1:33.34) and 500 free (7:28.39). Seniors Grace Furman and Kaitlyn Kreiser each won an event as well. Furman was first, in the 100 back (1:27.22), while Kreiser’s time of 3:21.58 was good enough for the win in the 200 IM. The Indians also won the three relay events: 200 medley (2:21.21), 200 free (2:08.53) and 400 free (5:05.83). Against CR, the Indians managed just one event win, and that came from Barthelmess in the 100 breast event, with a time of 1:18.17.